Home Based Residential and Commercial Cleaning Franchise, green, eco-friendly and technologically driven. eMaids brings a long and decorated history in the residential cleaning industry being that the organization has provided services to customers and residential clients since 2004 and has carried a stellar reputation as one of the market leaders in the New York market. eMaids is a New York, NY based company that provides a wide array of residential maid services to residential customers. The primary clients for eMaids include middle to upper-middle income clients in metropolitan areas with a condensed population of customers with a focus on condominiums, apartments and residential multi-unit complexes. This offers a wide range of potential clients for the eMaids model and franchise partners and allows for a diverse revenue stream business model. 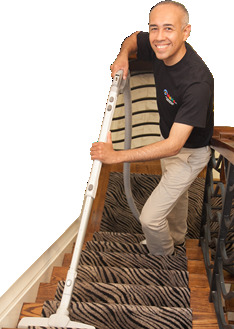 eMaids brings a long and decorated history in the residential cleaning industry being that the organization has provided services to customers and residential clients since 2004 and has carried a stellar reputation as one of the market leaders in the New York market. The company has transitioned to the second generation of leadership with Ms. Miriam Kahn and with that a combination of new-age leadership that brings both proven and traditional business management with that of new-age and cutting-edge strategic thinking in combination with the use of technology, systems, and advanced business processes. From a credibility standpoint, the eMaids franchise offers as proven and established of a business model as you could find. Here at eMaids, we strive every day to be the best cleaning company in the city. We know how hard it can be to find a prompt, excellent, guaranteed cleaning service, especially with a busy life style. At the end of a long day, you can come into a sparkling clean home. eMaids is owned by local people who build their client base one recommendation at a time. We have thousands of cleanings behind us and we know what we are doing. That-s the only way we can give you a 100% Satisfaction Guarantee. It is a guarantee that we work and live by every hour of every day. Founders of eMaids, Inc. have over a decade of experience in keeping homes clean and fresh since 2004. With experience cleaning tens of thousands of homes we have developed the most efficient cleaning processes, methods for attracting the best maids, and a 360-degree philosophy of customer service. eMaids provides Residential Maid and Cleaning services. With a wide range of diverse client types and industries that are served by the organization, the eMaid business model allows for the diversification of revenue streams and opportunities. All of our housekeepers are professionals. The eMaid motto is that we will treat the client-s home as if it were their own. You no longer have to worry about teams of cleaners coming into your home while you-re at work. We assign one housekeeper to take care of all of your cleaning needs. With some house cleaning services the cleaners are all working on a schedule that has them finishing at the same time so they can quickly move on to the next house. We don-t rush! If you need your refrigerator cleaned, or some laundry washed, we will gladly take care of it. We-ll even do windows! We stand behind our work. If we accidentally miss something listed on our Scorecard, please call our office within 24 hours and we will return to your home and redo the work at no additional charge. The eMaids concept is operationally a simple business model, one that relies on consistency, accountability and a dedication to service. The business model allows for someone to enter the industry with an initial investment as low as $45,900 up to $75,200 on the high side, based on a cash investment in the business and supplies needed to operate a location of eMaids. These numbers include the franchise fee. Much of these supplies can be financed also which would allow someone to get into the business with less up front capital. There will be no office location or corporate facility needed for a franchisee to start their business. The corporate location in New York does have a residential space; this will be used as a sales, training and discovery point in marketing the franchise so that potential buyers can see the benefits of operating a business from home with less overhead and then transitioning into an office and residential warehouse. eMaids is listed in the Franchise Directory under the Cleaning category. It's also listed in the section for Franchises Under $20,000.